To be a top class management/healthcare servicesconsultants outfit providing exceptional training in human resource management, organisational behaviour and operations management in the healthcare industry in Nigeria and beyond the shores of Nigeria. To promote high quality organisational performance and human resources service delivery, especially in the healthcare services providing institutions, through innovative and creative application of time-tested business management approaches in delivering high values and benefits to the ultimate consumers; and to encourage optimal utilisation of highly skilled and motivated manpower and other needed resources in achieving exceptional results in corporate management, especially, in healthcare services providing organisations. 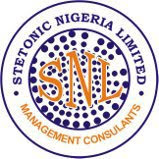 Stetonic Nigeria Limited was set up in response to the organisations’ yearnings for innovative managerial orientation for the achievement of effective administration, and management of corporate organisations, institutions, facilities and service efficiency based on accepted global practice. A team of seasoned professionals and management consultants was put together to articulate workable solution to problems encountered in the workplace. These solutions would then be offered to institutions and practitioners through training, workshops, seminars and other forms of orientation. The team aims, ultimately, at being one of the foremost consultancy outfits that offer exceptional training and orientation to corporate organisations, and workshopsthat address the administrative and managerial problems in the workplace within and outside the country. The above can only be achieved through the adoption of time-tested business management approach in the service delivery areas - which the outfit identifies with. · To evaluate through research, work-study and experimental review, the gap between organisational expectations in service delivery and the current offerings by service providers. · To design strategies for more effective delivery to meet and even surpass the desired expectations. · To give orientation and guidance to service providers towards continuously improved service delivery. Clients’ satisfaction through application of time-tested organizational behaviour theories, practical team spirit and team work among our members, and immediate feedback from our clients.